Ob im Bereich Wissenschaft, Unterhaltung oder Sport: Im Laufe der Jahrhunderte hat Großbritannien unzählige große Persönlichkeiten hervorgebracht. Auch heute noch gibt es Briten, die Sie unbedingt kennen sollten. Wir stellen einige von ihnen vor. Texte von Vanessa Clark, Claudine Weber-Hof, Paul Wheatley und Inez Sharp. These are difficult times for Britain. Government infighting continues as we to stumblestolpernstumble towards divorce from the EU. Our National Health Service appears to be suffering from terminal declineunaufhaltsamer Niedergangterminal decline and, earlier this year, a company that delivers essential services to our schools, prisons and military collapsed without warning, leaving confusion and unemployment in its to leave sth. in the wakeetw. hinterlassen, etw. zurücklassenwake. and yetund dennochAnd yet, those who populate these islands continue to amaze with their imagination, intelligence and flexibility. 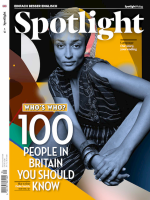 It has been tough creating a 100 “who’s who” of Brits — and this is, of course, a subjective list. Putting it together has reminded us that there are extraordinary individuals in the UK in every part of public life. For every name included in this list (you will notice that we did not give people’s titles), we had to exclude at least one. So what were our criteria? Many of the individuals on our list are household names in Britain, but might not be known abroad. Others may have achieved great advances in their field, but not be known to us by name. And, finally, the list includes persons we all know, but sometimes just need to be reminded of. A talented line-up of British entertainers of the moment. A dynamic radio broadcasterModerator(in)broadcaster, Amfo presents the mid-morning show on BBC Radio One. We can expect to hear — and see — more of her. The Scottish singer-songwriter self-released his debut single, “bruisePrellung, blauer FleckBruises”, a powerful piano ballad, in 2017. It shot up the charts. A newcomer to watch. The co-creator of the TV hit Sherlock, he also plays the detective’s brother Mycroft. Currently writing a new version of Dracula. Criticized by other comedians as “blandlangweilig, nichtssagendbland”, McIntyre has made a massively successful career. Currently filling 20,000-seat arenas on his world tour. As her cluelessunbedarft, ratlosclueless comedy character Philomena Cunk, Morgan makes clever and funny mockumentaryParodie eines Dokumentarfilmsmockumentaries. “Playing an idiot is easy,” she says. The Irish-born TV chat-show hostModerator(in)host who gets the big stars on his sofa. His cheeky (UK)frech, vorlautcheeky humour makes him the perfect commentator for the Eurovision Song Contest. His role as a criminal banker in McMafia (2018) confirmed his acting talent — and that he looks good in a suit. Hot favourite to be the next 007. Originally a producer for TV company Endemol Shine UK, his charm and humour made him the ideal co-host for their quiz show Pointless. The new artistic director of Shakespeare’s Globe theatre. Her democratic vision: to let the audience choose the play and to let the actors choose their parts. TV newcomer, he takes the title role in the new BBC series Informer about a police counterterrorismTerrorismusabwehr-counterterrorism operation in London. English grimeGrime (engl. Musikstil)grime and hip-hop artist, dominating the scene after his debut studio album went to number one in 2017. I grew up with incredibly strong, powerful women around me who were highly intelligent and doing their own thing. Danish-born comedian, radio and TV presenterFernsehmoderator(in)TV presenter, author, playwrightBühnenschriftsteller(in), Theaterautor(in)playwright — she’s even founded a feminist political party. The hopes of Doctor Who fans rest on this talented actor, filming her debut as the first-ever female Doctor. With his meal plans and workouts, the “Body Coach” transforms British bodies and has transformed himself into a multi-media star with a £12 million fitness empire. A talent for bringing history to life in TV documentaries. Chief curator at Historic Royal Palaces. London-born singer-songwriter with Turkish, Irish and Bajan heritageErbe; hier: Abstammungheritage. Her huskyrauchig, heiserhusky voice and restrainedzurückhaltend, verhaltenrestrained guitar give a rich beauty to her minimalist style. As she celebrates her 92nd birthday this month, Queen Elizabeth has been a leader, businesswoman and — often unwittinglyunabsichtlichunwittingly — an entertainer. Men and women at the cutting edgeSpitzenpositioncutting edge of British science. The dynamic London-born scientist is a high-profile science educator, especially of children. Watch her present The Sky at Night on BBC Four, and you’ll see an enthusiastic expert who explains science in beautifully simple terms. Aderin-Pocock holds multiple degreeAbschlussdegrees — in physics and mechanical engineering — and has her own company and a postStellepost at University College London. She is a star. But success did not come easily. World-famous physicist, cosmologist, speaker, author — and spokesman for others with amyotrophic lateral sclerosis (ALS). He headed research at the Centre for Theoretical Cosmology, Cambridge University. Stephen Hawking to pass awayversterbenpassed away on 14 March 2018. The computer scientist and engineer invented the World Wide Web and, as the Turing Award memorialized, “the fundamental protocols and algorithms allowing the Web to to scaleanpassenscale”. A titan of science, the Kenyan-born, Oxford-trained ethologistVerhaltensforscher(in)ethologist’s gene-centred view of evolution — and his very public atheism — have made him controversial. Leads the Francis Crick Institute in London, a trailblazingbahnbrechendtrailblazing biomedical research centre. Chief medical officer for England, Davies is the UK government’s top medical adviser and the first woman to hold this high-profile job. A physicist and famous TV presenter, known for the BBC’s Wonders of… series and Tomorrow’s World. Professor at the University of Manchester. Top geneticist at the University of Oxford and a leading researcher into the molecular analysis of genetic disease. An important solar-powerSonnenenergie-solar-power pioneer at Edinburgh University, she was the first woman to serve as president of the Royal Society of Chemistry, in 2012–14. It’s my job to explain the science and take them [the politicians] with me. It’s a fun challenge. The expert in the interfaceSchnittstelleinterface between physics and biology promotes women in science. milestoneMeilensteinMilestone: at 33, she was the first female lecturerLektor(in), Dozent(in)lecturer in Cambridge University’s physics department. Rees is astronomer royal. The professor of cosmology and astrophysics at Cambridge University is a prominent figure in UK science. The groundbreakingbahnbrechendgroundbreaking ideas of “downloadable drugs” and printable medicine have made the British chemist based at the University of Glasgow a rising star. A daringmutig, kühndaring thinker and talented TED speaker. Developer of the data-based criteria for the International Union for Conservation of Nature’s list of threatened species, the IUCN Red List. Mace heads the biodiversity department at University College London. The intense neurobiologist who specializes in brain development is an outspokenoffen, geradeherausoutspoken, media-savvyerfahrensavvy supporter of the responsible use of animals in research. You could be playing a team of superstars but if we get everything right — physically, tactically, emotionally — I feel we can beat anyone. Here are the names in sport that are currently to bowl sb. over (ifml.)jmdn. umhauenbowling us over. It’s World Cup year in football, and if the past half century is anything to go by, there will be little to to cheerjubelncheer for England. Or will there? England’s bit of optimism increasingly relies on the Spurs strikerStürmer(in)striker Harry Kane, who for the past few years has been in unstoppable form for club and country. Not convinced? In 2017, Kane finished as the top goal scorer in the whole of Europe with 56 goals, which means he was ahead of legends of the game Lionel Messi (Barcelona) and Cristiano Ronaldo (Real Madrid). Kane has much to do to match the achievements of those two, but the 2018 World Cup, which takes place in Russia from 14 June to the final on 15 July, provides the perfect platform. And at 24, he’s not even to be in one's primehier: auf dem Höhepunkt seiner Leistungsfähigkeit seinin his prime. Can England finally win the World Cup, 52 years after beating Germany in that famous Wembley final? Even if they don’t, Harry Kane will want to show why he’s currently the best striker in world football. Just 18 years old and she has the world at her talented feet: gymnastTurner(in)gymnast Downie won a gold medal at the 2017 European Championships and will be hoping for more in 2018. Londoner Itoje smashed his way into the England rugby union team in 2016 and he’s quickly becoming a superstar in this toughest of tough sports. speed skaterEisschnellläufer(in)Speed skater Christie is a three-time world champion — in 2017, 1,000-metre and 1,500-metre golds made her the first European to win the overall world championship. Winner of the omnium at the 2017 UCI Track Cycling World Championships, Archibald is now one of the biggest names in European cycling. Cricket, a game for connoisseurKenner(in), Liebhaber(in)connoisseurs, and lleg spinbeim Cricket: eine spezielle Art, den Ball zu bowleneg-spin bowling, a mystery only for the initiated. At 21, Crane is already in the England team. Also a spin bowler, Ecclestone at just 18 looks at home in international cricket. Her job is to to bamboozle (ifml. )hier: aus dem Konzept bringenbamboozle the opposition — something she does easily. He plays in a position where enormous strength and hard tacklinghier: Attackieren, Tiefhaltentackling are essential — England rugby star Simmons somehow does this and is lightning quick at the same time. In 2017, Scottish rowerRuderer, Ruderinrower James became the world junior champion in the 200-metre sprint at 18. A year later, he’s now training to beat the best at senior level. Winner of the cricket Women’s World Cup in 2009 with England. She’s now a successful broadcaster on BBC’s popular Test Match Special. Talented writers, artists and designers in the UK? The diversity is staggering. Here is a selection. Publishers in the UK and US are hoping that Page’s first book, The Lido, will do well when it goes on sale this month. Page has already sold the film rights for it. Libby Page always wanted to be a writer. She also loves swimming, especially in her local pool, the Brockwell Lido in south London. These two loves have come together in her first novel, The Lido. It tells the story of two women who fight to stop the closing of their local outdoor swimming pool. Kate, who is in her twenties and a reporter, meets Rosemary, 86, who has swum in the pool since she was a child. The two women become friends — united by more than just a love of water. The Lido is the story of this remarkable friendship. I’m my worst critic. I’m hard on myself. I’m very serious about what I do and I want to grow significantly. Always open to new ideas, Hockney has created art on his iPhone and iPad. He has studios in LA and London. He once said: “The moment you to cheatschummeln, schwindelncheat for the sake of sth.um einer Sache willenfor the sake of beauty, you know you’re an artist.” Hockney made a name for himself during the pop art era of the 60s. The English painter and printmakerGrafiker(in)printmaker loved the big cities of Europe, but found fresh inspiration when he went to California to work and also to live. A Bigger Splash, a 1967 painting of a pool next to a modern house, veranschaulichen, als Beispiel dienenveranschaulichen, als Beispiel dienenexemplifies his early style, and is celebrated as an icon of 20th-century art. Best known for her sculptures, Whiteread created the Mahnmal für die 65.000 ermordeten österreichischen Juden und Jüdinnen der Schoah in Vienna in 2000. The British Journal of Photography describes Hammond’s works of art as, “an intersectionSchnittpunktintersection between image-making, installation and sculpture”. After leaving the London art and fashion college Central Saint Martins in 2013, Williams started her own label. Williams says she is inspired by the area of west London where she lived as a child. In an interview with high-content.com, she said: “I grew up always going to the local markets, Portobello and Shepherds Bush market. They’re polar opposite but I love them both. Portobello was the first place I was allowed to go shopping without my parents and just a friend. It’s where I really began to look [at] and explore clothes on my own, find bargains and develop my personal style.” Williams, who has designed for the brand & Other Stories, likes mixing bright colours. Vogue calls her style, “space-age-meets-folkloric”. From Spice Girl to one of Britain’s most successful fashion designers: Beckham created her own label in 2008, winning industry kudosAnerkennung, Ansehenkudos and celebrity fans. Beckham is a master of brandingMarkenführung, Markenaufbaubranding — of her products, certainly, but more importantly, of herself. One key to her transformation from “Posh Spice” to serious fashion player has been the careful cultivation of her media presence. Plus, her own lines of clothing and accessories go very well with her good-looking family: football-star husband, David Beckham, and their four children. She creates clothing for two very different kinds of royalty, but costume designer Michele Clapton moves easily between the two worlds. In 2011, she began designing costumes for the fantasy TV series Game of Thrones. With no specific instructions regarding the style except “vaguelyungefähr, vagevaguely medieval”, she created clothing that underlined the larger-than-lifelegendärlarger-than-life drama: fur cloakUmhang, Mantelcloaks, enormous silver jewellery and sweeping kimono-like dresses. When Clapton took on designing costumes for The Crown, a TV series about the life of Queen Elizabeth II, her remit (UK)Aufgaberemit was to combine historically accurate outfits with clothing that gave an extra dimension to the story. In contrast to her early work as a fashion designer, where Clapton says she had complete control of a look, costume design is a “collaborativegemeinschaftlichcollaborative” task in which designer, actor and director work together. Not that she is complaining. After winning a BAFTA for her costume design for The Crown in 2017, she said that when everyone works together, “really interesting things happen”. Then her work, “aids the actor. It aids the storytelling”. Dieser Beitrag stammt aus dem Spotlight-Magazin 4/2018. Die gesamte Ausgabe können Sie in unserem Shop kaufen. Natürlich gibt es das Magazin auch bequem und günstig im Abo. Wir werfen einen Blick auf die Höhe- und Tiefpunkte, die das britische Fernsehen seinen Zuschauern beschert hat.